This course is for you if you wish to support yourself and your loved ones by making a difference. Being either a nice but broke hippie, or a wealthy but soulless drone, isn’t a great choice. People want a third way – purpose that pays. 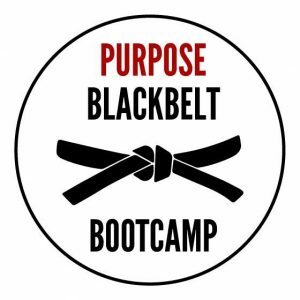 Purpose Black Belt Bootcamp is an intensive face-to-face workshop that helps people make a good living, feeling good and doing good. Sounds good? This course if for people who have rejected meaningless toil and want to make a good living as facilitators, alternative health or movement professionals. I’ve ran a successful online course for two years for them, and done loads of Skype coaching, but some people wanted a face-to-face experience so we’re offering this intensive.